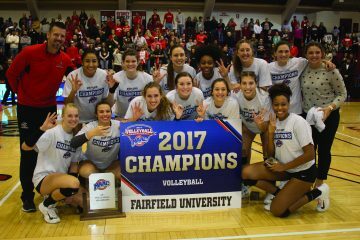 For a staggering 17th time in the last 22 years, the Fairfield University volleyball team has been crowned Metro Atlantic Athletic Conference regular season champions. 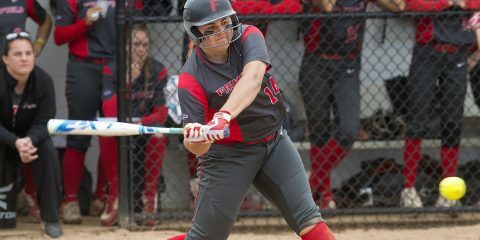 With their 3-0 sweep of the Rider Broncos on Sunday afternoon, the Stags won their 16th straight overall game and moved to 15-0 in conference play. The red and white now stand at 20-6 on the year and need one more win to capture the outright season title and earn No. 1 in the upcoming MAAC Tournament. 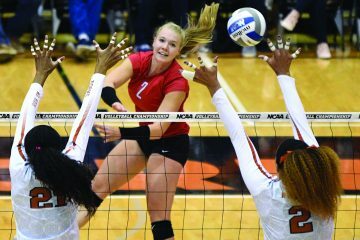 Senior Megan Theiller led the way offensively for the Fairfield in the triumph over Rider as the veteran sent home 19 kills while also providing 11 digs on the defensive end. Junior Kaitlyn Fisher and Kaylie Butts ‘21 also added to the attack as they posted eight and seven kills, respectively, on the afternoon. And as she has done remarkably all season long, Manuela Nicolini ‘20 controlled the pace of the game, dishing out 40 assists in the win to continue her fantastic playmaking run. On the defensive end, Taylor Rudeen ‘19 had a team-high 13 digs to go along with Theiller’s 11. Nicolini and Sonja Radulovic ‘20 each added nine digs of their own in the game. Senior Skyler Day owned the court from the service line as she hammered home five service aces, matching a career-high for the reigning MAAC Player of the Year. 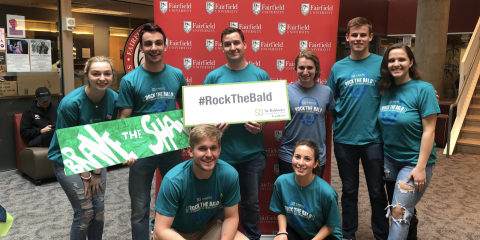 Fairfield returns to the court Wednesday, Nov. 8 in search of their 17th-straight win when they welcome Siena to Alumni Hall for a 7 p.m. start. The Stags then conclude regular season play this weekend when foes Niagara and Siena come down to Connecticut for a pair of weekend games.